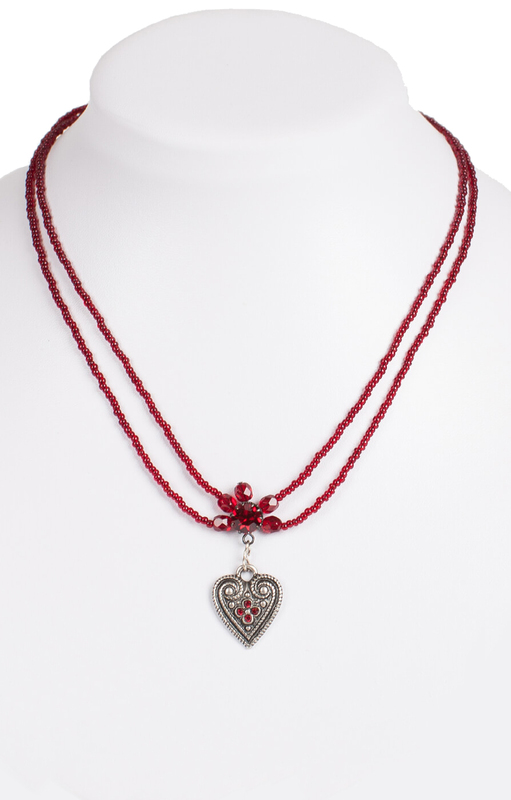 Superb red bead necklace with heart pendant. A two-row bead chain with round crimson red quartz beads, this traditional necklace is a fashionable accessory designed for ladies in love. Fiery-red crystals adorn the nickel-free silver pendant. This nickel-free charm dangles from two black strings that fasten at the back. The rows of round beads meet at the front, where a large, shimmering crystal is enclosed by faceted glass beads.